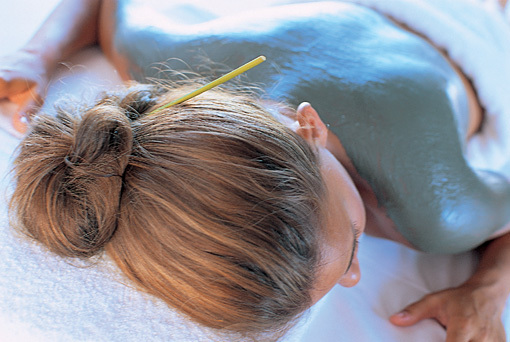 Properties of the warm Parafango (sea mud mixed with paraffin) stimulates the lymphatic flow on our body to draw out toxins from around the fat cells. The wrapping technique compresses the skin and compacts the soft fatty tissue making it more firm and tight. It is recommended to drink plenty of water after treatment to flush the body system in order to achieve further inch loss. We guarantee in one session a total minimum loss of one inch on the thighs or 1/2 inch on the waist provided no weight has been gained. It includes a quick exfoliation and massage.